Bike Bonding refers to the connection and interaction of the rider and motorcycle. The BBBRC is a partial day course designed to provide a low risk, effective and enjoyable motorcycle-skills development event for riders who are just starting their riding adventures. The overall aim of the BBBRC is to help riders develop smooth and precise control as they manipulate primary motorcycle controls and practice their riding procedures and techniques. Good bike bonding helps riders automate their physical skills so they can devote more attention to road and traffic conditions (searching and evaluating). 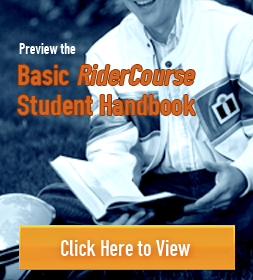 For any rider who is interested in improving their low-speed riding skills, the course is particularly helpful for new riders. Experienced riders would be best served by enrolling in the Ultimate Bike Bonding RiderCourse (UBBRC) where they use their own motorcycle. The MSF Ultimate Bike Bonding RiderCourseSM (UBBRC) is a partial day course designed to provide a low risk, effective, and enjoyable training event for participants who have riding experience. The primary tasks of a RiderCoachSM are to ensure a low-risk learning environment consistent with MSF principles and to facilitate the development of rider skills and competencies during each exercise and throughout the course. 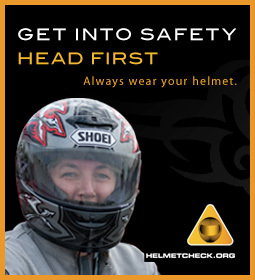 Participants must be licensed and use their personal (or borrowed, with permission), safe and street-legal motorcycle. Bike Bonding refers to the connection and interaction of the rider and motorcycle. Good bike bonding helps riders automate their physical skills so they can devote more attention to road and traffic conditions (searching and evaluating). The UBBRC is designed for riders who possess a solid basic skill and have recent riding experience. It is recommended that the motorcycle be appropriate for the size and strength of its rider. The UBBRC is designed for two-wheel, single-track motorcycles, not 3-wheel motorcycles or hybrid designs. Riders must also show proof of license and insurance. No passengers are permitted in the UBBRC.